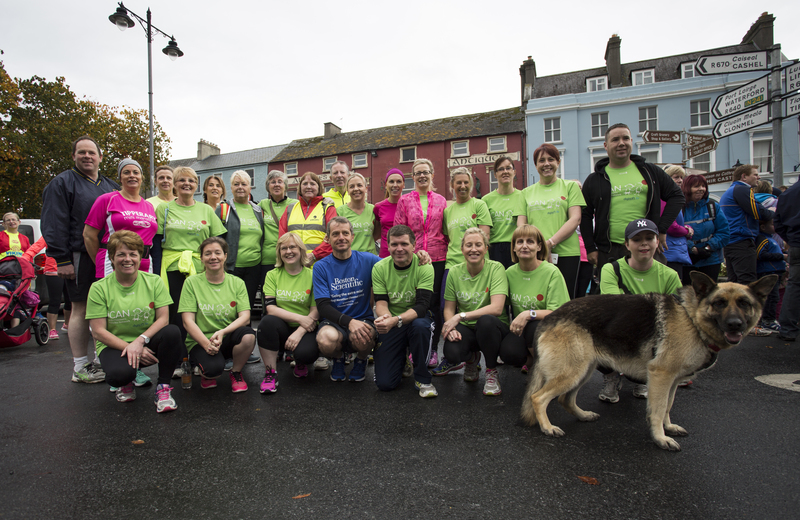 The Cahir Meet and Train Group took part in the Cancer Cahir Challenge last weekend to play there part in this very worthy cause. The Meet and Train Gang had been asked to organise the run to Poulmucka via Loughloher and Husseystown which was approx. 7.5miles. We will now turn our attention to next Saturday evening for the Zombie walk in Duneske at 6pm sharp. This was a very successful event last year and raised very needed funds to maintain the Playground, as this is not a council facility it depends on the users to maintain and cover the costs of running it. We would encourage all present and Past users who get so much enjoyment out of the Playground to please come out and support the event. There will be prizes in best Fancy Dress and the walk will be supervised. We meet as normal on Tuesday and Thursday and tickets for the Christmas Party can be booked on either night. If your family are planning a Christmas party why not use this opportunity with tickets €30 including reception, meal and music. The Cahir Tidy Towns Group teamed up with the Cahir Community Services last week to launch the Community Services Card. Thanks to the members for their input in bringing this project to fruition. We have also erected a fence along the top of the St Declan's Grove. There have been 12,000 bulbs planted also and we wait to plant the trees next. We are still looking for sponsors of trees in the grove and its ideally suited to businesses or families. This will be a feature in the town for many years to come and if you want your business or family associated with it please contact the Business & training Centre in the Market yard.